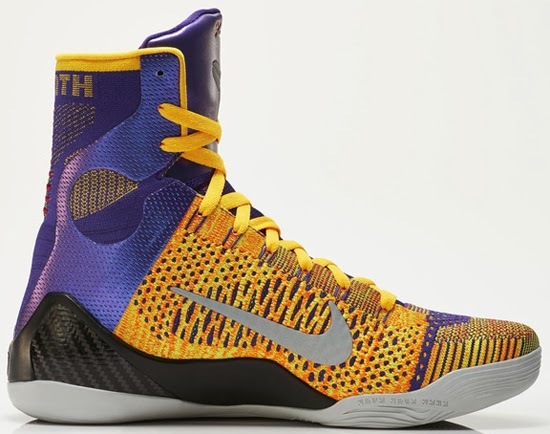 This Nike Kobe 9 Elite is a part of the "Team" Series. 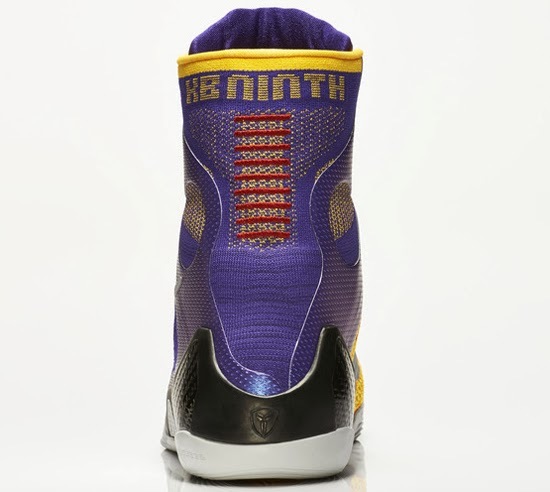 They come in a Los Angeles Lakers-inspired court purple, white, laser orange and wolf grey. 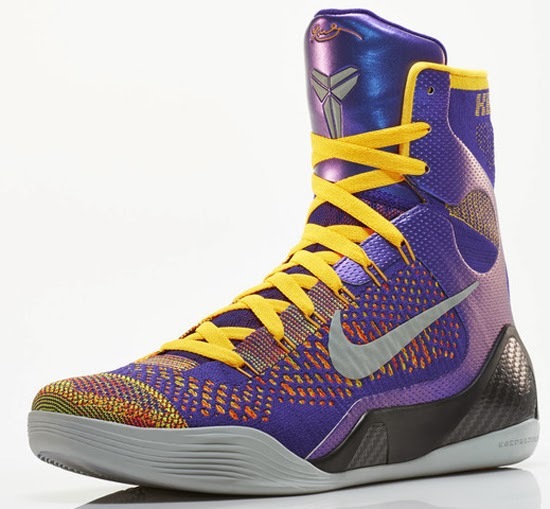 Featuring a purple and orange based upper with multi-color Flyknit throughout. A reflective 3M Swoosh on the sides and grey outsole finish these off. 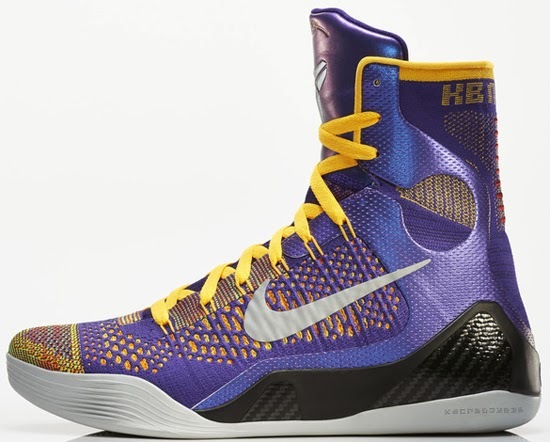 A general release, look out for these at select Nike accounts worldwide on Saturday, April 12th, 2014. 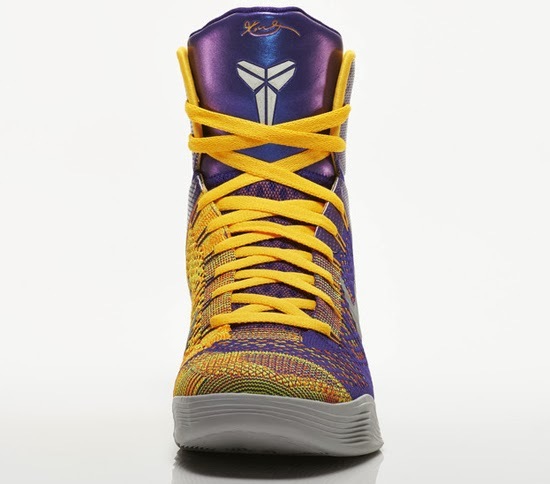 Retail is set at $225 for men's and, they will also be available in GS (gradeschool) sizes retailing for, $125. 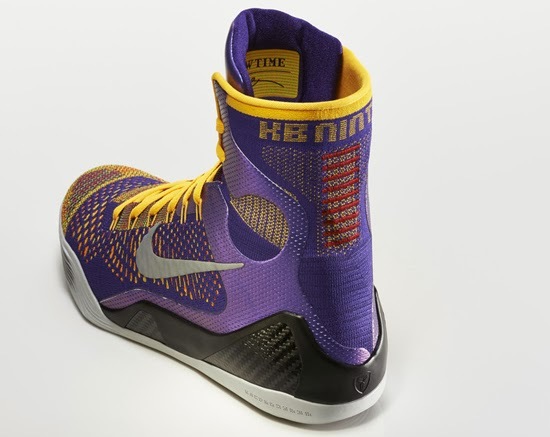 Enjoy the official images below of the "Team" Nike Kobe 9 Elite in court purple, white, laser orange and wolf grey. If you're interested in picking these up when they release, check in with your local spots to see if they will be receiving them. Those of you looking for a pair now can, grab them from eBay here.